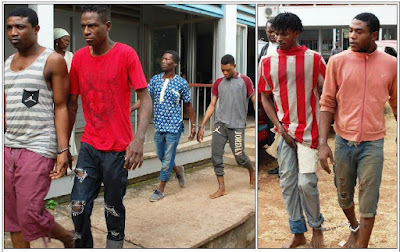 An Ibadan Magistrates’ Court yesterday remanded six suspects for allegedly killing the Commandant of Command Secondary School, Apata, Ibadan, Col Anthony Okeyim. Solomon Agada Emmanuel (20); Bibisoye Kehinde a.k.a. Efrebor (27); Taiwo Adeniyi (34); Ewere Andrew (25); Ephraim Obi (38) and Udobata Onusa-Uze a.k.a. Kaka (28) will remain at Agodi Prisons, pending legal advice from the Directorate of Public Prosecution (DPP). The court did not take their pleas. The Magistrate, R. A. Ebeloku-Mustapha, ordered that the three-count charge- robbery, murder and stealing – be read to them. 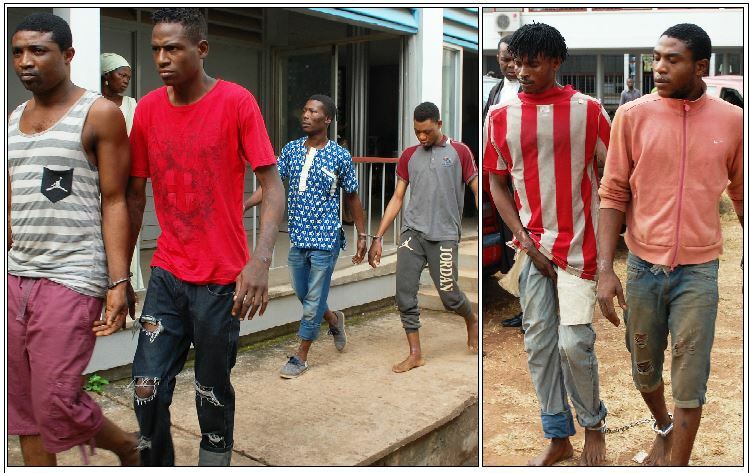 The prosecutor, Fatola Musiliu, told the court the suspects on December 11 about 10pm in the school conspired among themselves to commit felony, to wit: robbery and murder. The other charges read: “That the six suspects on the same date, time and place in the aforementioned magisterial district did rob Col. Anthony Okeyim of his Samsung S4 value unknown. “That the six suspects on the same date, time and place in the aforementioned magisterial district did unlawfully cause the death of Col. Anthony Okeyim (52) by throwing him from the top floor, which led to his death. The case was adjourned till March 28.